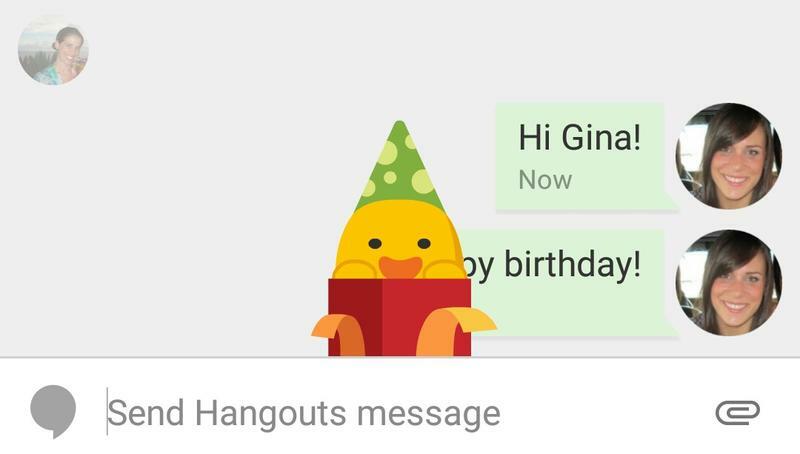 Hangouts is already a pretty solid messaging service, but it’s missing some of the flashier features we take for granted on competitors like iMessage or Facebook Chat. 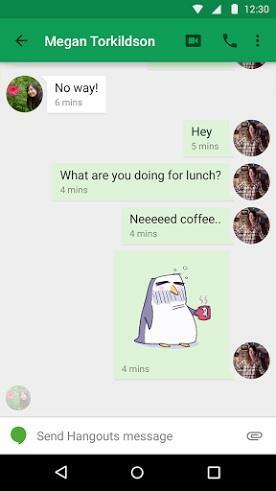 Google isn’t slacking though, and today the company is pushing out a pretty big update for its messaging app on Android. Google announced the news on Wednesday morning, noting that the update should roll out to most people within a few hours. 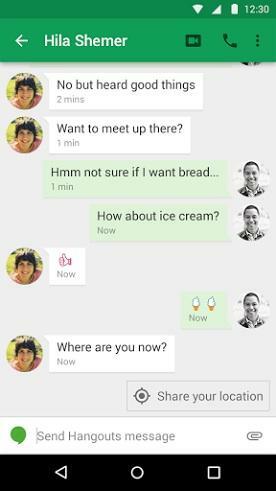 The most exciting news is a handful of new features that make Hangouts a lot smarter and easier to use. The app now includes a “last seen” timestamp to show when you last checked in. 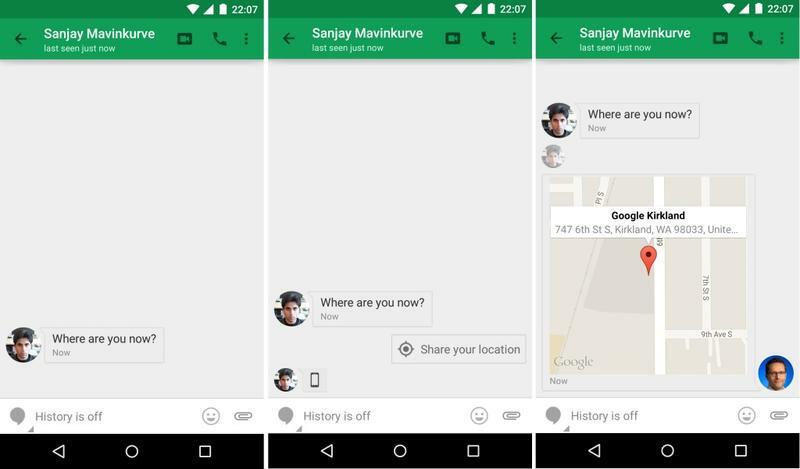 It can also predict when you need to share your location, and will quickly offer a one-tap option to send a pinned map in response. 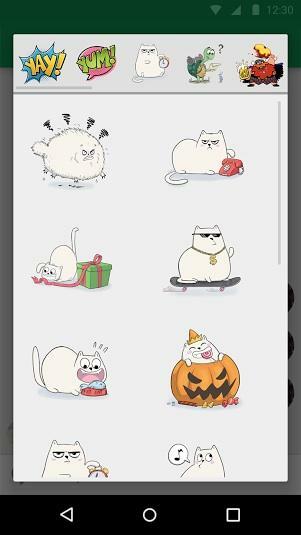 On the silly side, Google is rolling 16 new sticker packs for Hangouts and adding the option to use video filters like sepia or black & white during video chats. 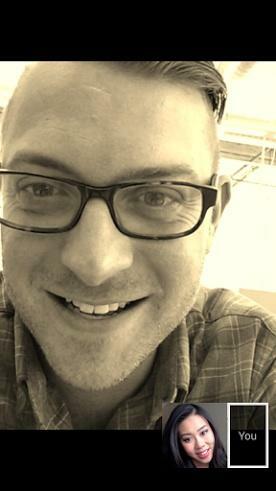 The company also added a few extra easter eggs. For example, type “happy birthday” and a festive cartoon will pop-up in response. The update should be available today via Google Play, though for now we’re still not seeing it online. The company also notes that the new timestamps feature will roll out in waves over the next few weeks, while an equivalent update for iOS should be available soon as well.